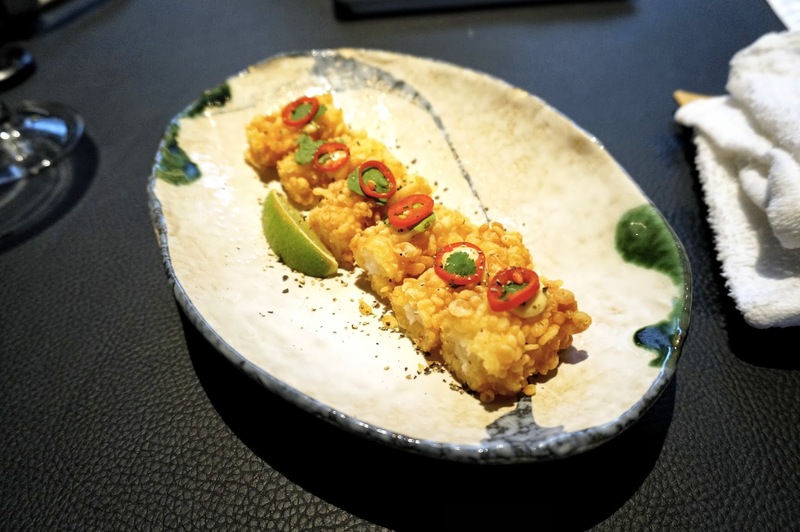 Whilst sipping on our deliciously refreshing cocktails, my sister had the LG Saketini and I had the Yuzu Lemonade, we started with some Ebi Bites - tempura shrimp with chilli and coriander and miso aioli - yummy and crispy. 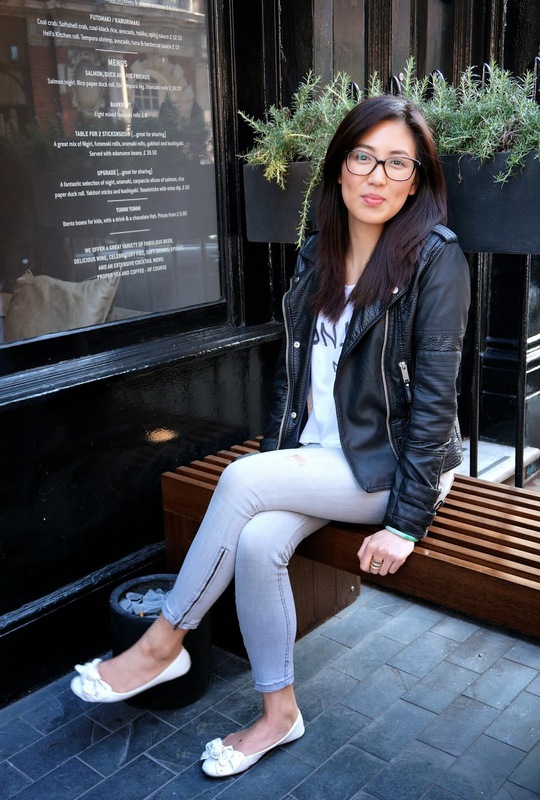 FYI if you're anything like my sister and like to seek out new cocktail jaunts, be sure to check out her blog - The Payday Cocktail Club for fun drinking inspiration. Now onto the sushi! There's so much choice, we decided to go for the 'Duck, Salmon and Their Friends' and 'Green Keeper' selection, which was a mix of sushi roles, duck rolls, roasted vegetables, grilled edamame beans and maki rolls. Everything was fresh and tasty, we were spoilt for choice and suitably full! I would recommend Sticks 'n' Sushi if you're looking for a Japanese dining experience with an European twist (not a red lantern in sight.) The service is spot on, great menu selection as well as cool decor. The Danes know how to do Japanese food well, we'll be back again! We took a stroll around the Piazza in Covent Garden, popping into check out the make up in Burberry, Chanel and Dior - beauty heaven! I tried on a lovely lipstick in Burberry - Golden Peach, we all need a coral shade for spring right? The afternoon sun was lovely, we grabbed ice creams and wondered down Regent and Oxford Street, not before seeing the sun slowly starting to set, the skyline was pretty pinks and orange but I couldn't really capture how nice it was on camera! What's your favourite place for sushi? Looks amazing. I love how sushi always looks so pretty and tempting. Great post - I'm salivating again about the tempura, yummy yummy! What a fun day in the sun. You should try it just to see if you like it, could be the start of something amazing haha! It's definately worth a visit Jade, nice change from the typical sushi joint! Those Ebi Bites and your sushi platters look incredible! I'm definitely going to pop here with my sister in a few weeks. Aw, I see such a resemblance between you guys! Love the assortment of sushi, some of the rolls I've never seen before! yes the food is great! I'm a fan of your blog - I went to try this restaurant and was not disappointed. Sushi was amazing and cocktails weren't bad either. Thanks for sharing. Ah this makes me want sushi and cocktails. Sticks n Sushi is fab, I usually head to their Wimbledon branch as it's a hop skip and jump from home. I know it's such a great restaurant! You're lucky you have a local one!